Well, the 2018 model season is coming to a close and we’re really excited about 2019. first things first, though, and we need to find homes for these bikes in stock. we’ll update as they sell. come by and check them out. Reg $1350, SALE $1080. Awesome spec on this hardtail 27.5+ bike. 11 speed Sram and Recon fork. Dropper too! Reg $1750, SALE $1400. 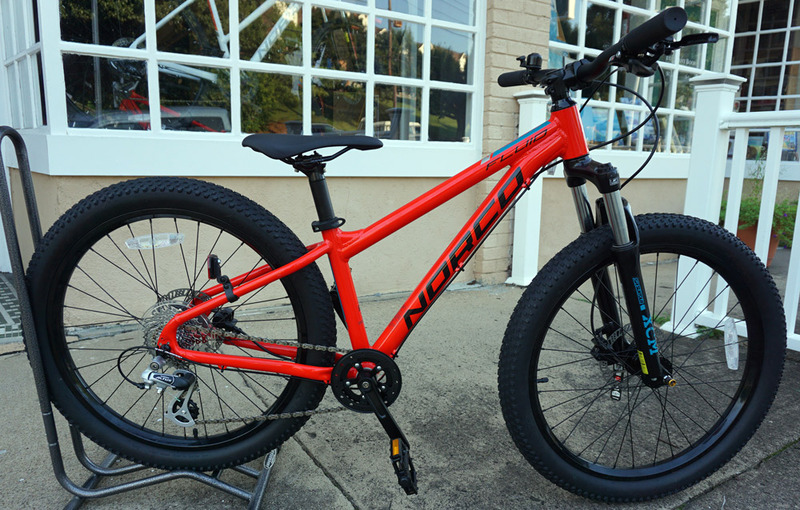 Super price on a full-suspension bike. 1x10 with a Recon fork and hydraulic brakes. 2 in stock. Reg $3300, SOLD!. The Optic is the prefect short travel trail bike for the Cove and this one has a spec you can’t beat. Pike RC fork, XT drivetrain, Shimano brakes, dropper, and a Monarch R rear shock. Already set up tubeless with Maxxis Ardent 2.4 tires. Reg $2400, SOLD!!!. SRAM NX11 and a Recon fork make this more than an entry-level bike. Dropper post and tubeless ready rims. Reg $1250, SOLD! Huge discount on this bike that’s ready for adventure. Bombproof Tiagra 10 speed components with your choice of gravel (pictured) or road tires. Reg $1700, SALE $1200! This is absolutely the most fun bike on the planet at the price. 140mm Suntour fork with 2.8 Maxxis Minion tires. Dropper, SRAM 11 speed. This bike can handle anything you can throw at it. Reg $900, SOLD! Do everything road bike. We’ll put on your choice of road (pictured) or gravel tires.